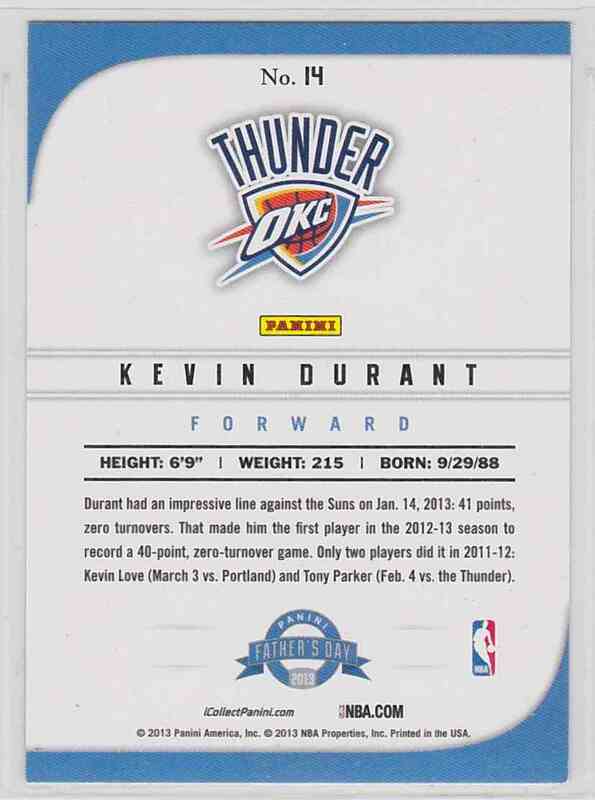 This is a Basketball trading card of Kevin Durant, Oklahoma City Thunder. 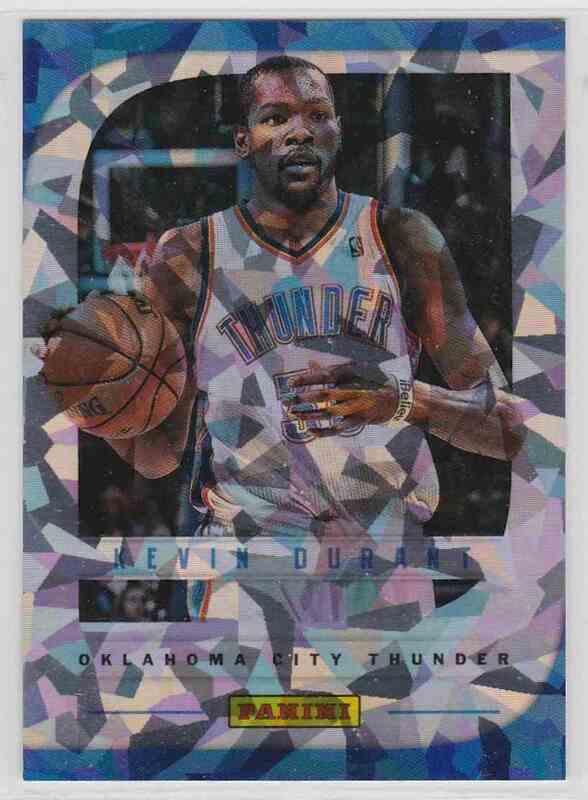 It comes from the 2013-14 Panini Father's Day Cracked Ice set, card number 14. Print Run Of 25. It is for sale at a price of $ 19.99.